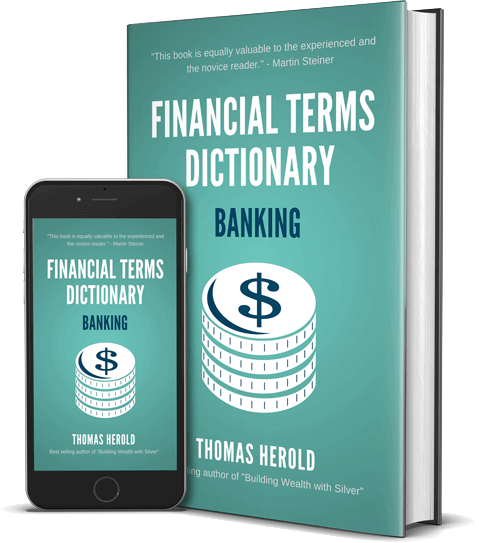 This practical financial dictionary for banking terms helps you understand and comprehend most common banking lingo. 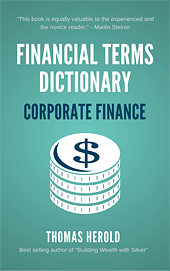 It was written with an emphasis to quickly grasp the context without using jargon. Each of the banking terms is explained in detail and also gives practical examples. Example Term: What is Offshore Banking? Offshore Banking is a means of banking by keeping your funds in a bank that is outside of the country in which you primarily reside, or literally “offshore.” These days it has acquired a negative connotation consistent with money laundering, criminal activities, or tax evasion. Yet none of these mental pictures are accurate any longer. All an offshore bank account truly means is that it is overseas or international. When individuals choose to keep part of their bank deposits internationally, this is a sensible, legitimate, and legal practice. The old model of the Swiss Offshore Banking account has expanded to numerous other countries. Today places as far flung as Singapore, Hong Kong, Panama, Malta, Liechtenstein, Bermuda, Jersey, the Isle of Man, Gibraltar, and the Cayman Islands all participate in the concept. Some of the highest-rated and most financially stable Offshore Banking centers are Singapore, Hong Kong, and Liechtenstein. There are a number of good reasons why ordinary people (as well as wealthy clients) opt to move their checking and savings accounts overseas to an Offshore Banking center. For starters, this protects assets from legal or government malfeasance. It is not an exaggeration to claim that any individuals who choose to maintain all of their assets and funds within the exact same country in which they work and live are taking on substantial legal (and hence financial) risk. The United States proves to be by far the most litigious society and nation which has ever arisen in all of world history. It is the shocking truth that any government agency or court can freeze any individual’s private bank accounts with only one phone call and with no due process. A second good reason for using Offshore Banking concerns the fact that the banks in other countries outside of most Western nations are far safer and sounder financially. Many banks in the so-called first world or developed world are in perilous financial condition. This became painfully obvious back in 2008 during the Western-based Financial Crisis and Great Recession. Some of the largest American, British, and European banks failed or went to the brink of bankruptcy. Examples of this are Wachovia Bank, Washington Mutual Bank, Bear Stearns, Lehman Brothers, and Merrill Lynch. Many others would have gone under but for desperate and generous government support of the likes of Citibank, Royal Bank of Scotland, and Lloyds TSB. While many of them have recovered somewhat, others like Credit Suisse, UniCredito, and Deutsche Bank remain in dangerous financial condition. In fact in Europe there are even entire banking systems as in Italy, Greece, Spain, Ireland, and Cyprus that had to receive sometimes multiple bailouts in order to survive at all. The jury is still out on the large and too big to fail Italian banking system. American banks also keep dangerously low levels in their liquidity. This means that they do not have nearly enough cash and cash equivalent assets to pay their depositors back in the event of a customer “run on the bank.” Yet in Offshore Banking centers like Malta, Singapore, Hong Kong, and Liechtenstein, the banks are conservative to a fault. They practice extreme caution with their depositing customers’ money and keep huge and conservative liquidity and capital ratios. Many of these same jurisdictions are governments with little to no debt and highly solvent and very well-capitalized banking insurance funds. Finally, Offshore Banking centers often pay significantly higher interest rates for U.S. dollar deposits. While major Western central banks in the United States, Great Britain, Europe, and Japan have absolutely slashed their interest rates to historic low rates or even negative interest rates, others are still paying decent returns overseas. In some of these, investors can receive even in excess of four percent on U.S. dollar-denominated deposits in low to no risk banks and regulatory regimes and jurisdictions.